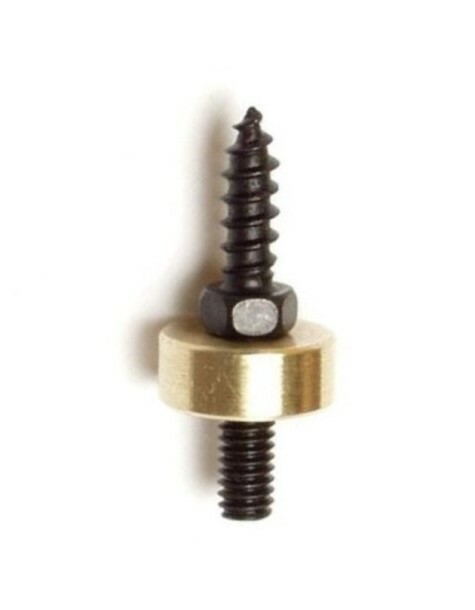 The TRESO bullet puller consists of a steel bullet puller lag screw with a 1/4” hexagonal collar and an attached brass disk. The brass disc has a minimum clearance in the barrel assuring the lag screw is centered over the ball and prevented from deflecting to the side of the ball and possibly damaging the barrel bore. The hexagonal collar provides a means to remove the puller from the ramrod and/or bullet with a small wrench. There is currently 3 of this item in stock. This item was added to our catalog on Friday 04 January, 2019.